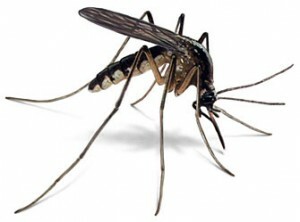 Pest Pros is your best source for mosquito prevention on Cape Cod. This is a part of the country where people come to enjoy the outdoors and one of the most beautiful settings on the planet. Unwanted guests like mosquitos can undermine that enjoyment — and it’s sometimes too late to get rid of them after they’ve already arrived. That’s why mosquito prevention on Cape Cod is so essential. At Pest Pros, we can help with mosquito prevention, control and eradication by bringing our experience, knowledge, and desire to go the extra mile to each and every job. When you need mosquito spraying on Cape Cod or similar services, turn to the team that knows how to get the job done. Mosquitos carry a lot of diseases that can be extremely dangerous to humans. Diseases carried by mosquitos like West Nile virus and Triple E have been causing issues to humans for years. However, new mosquito caused diseases are born every year causing panic and fear. At Pest Pros, our mosquito treatment can help eliminate some of your fears by removing mosquitos from your yard. When you need mosquito prevention on Cape Cod, know that we serve towns and communities throughout the area. We often do our work in Plymouth, Falmouth, Yarmouth, Hyannis, Chatham, Barnstable, Wareham, Dennis, Orleans, Duxbury, Scituate, Kingston, Marshfield, Sandwich and other towns. Are you ready for mosquito spraying on Cape Cod or similar pest services? At Pest Pros, we’re ready to deliver. We offer free inspections and estimates before work begins and we deliver affordable rates and green solutions after work is underway. Make sure you’re getting the best in mosquito spraying on Cape Cod when you choose Pest Pros.